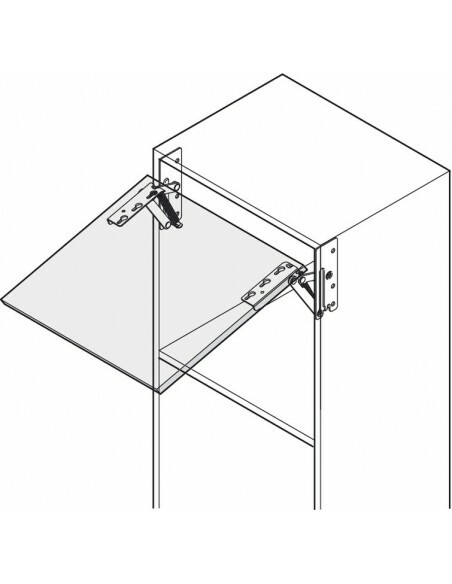 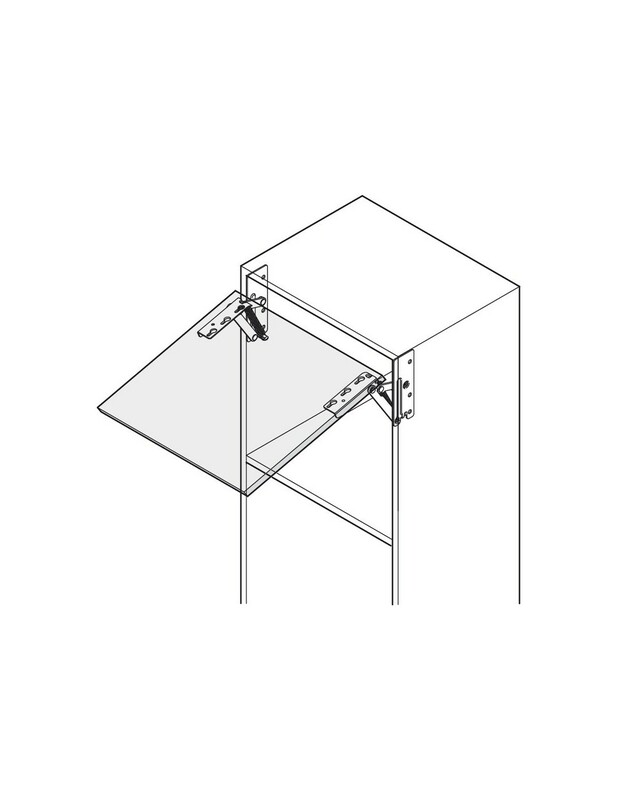 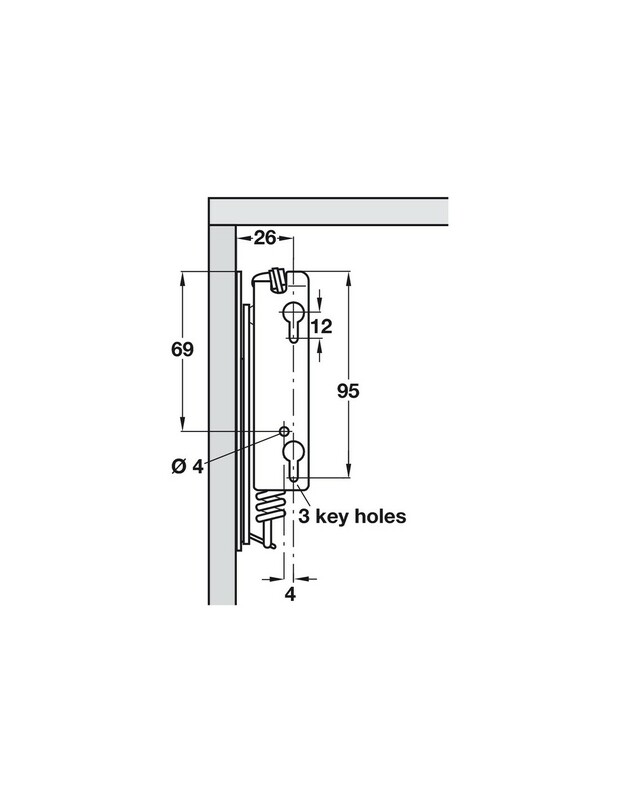 German manufactured swing up/lift up hinges for wall cabinets that have lift up door applications or for top boxes in tall cabinets. 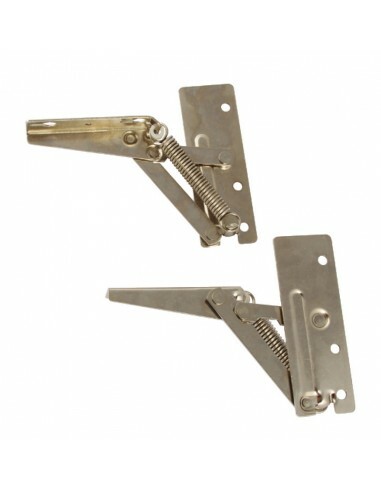 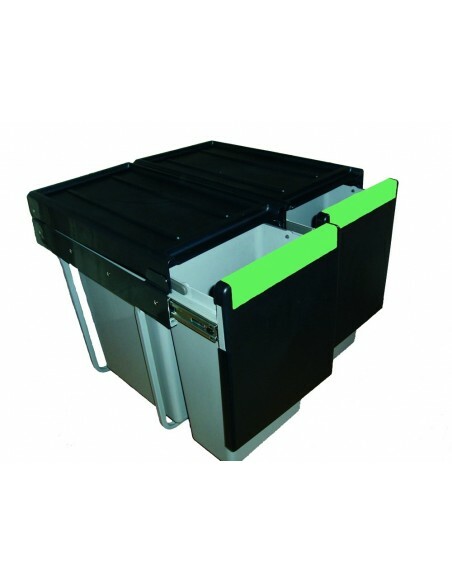 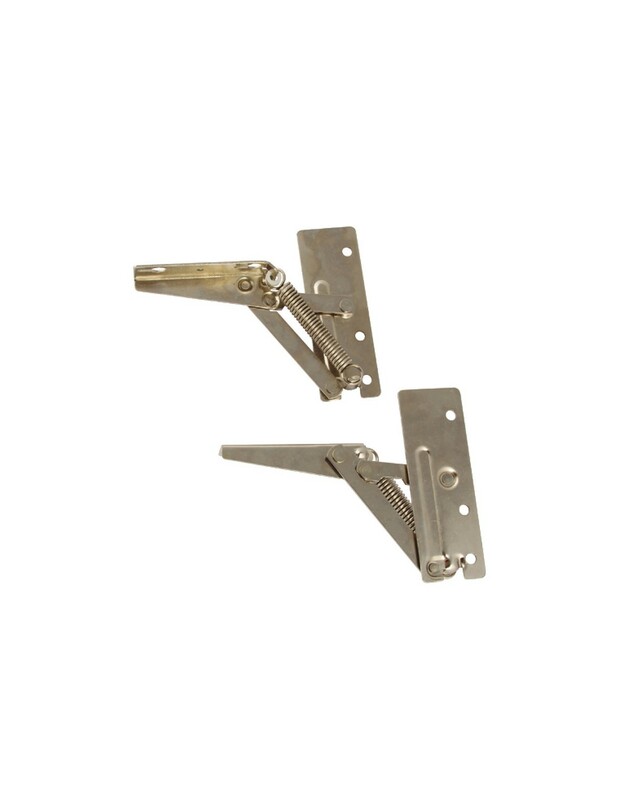 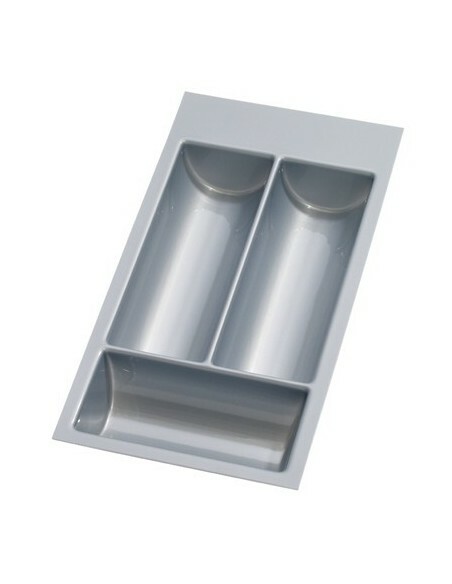 Supplied in pairs, with both being sprung on both sides Finished in a zinc plated steel. 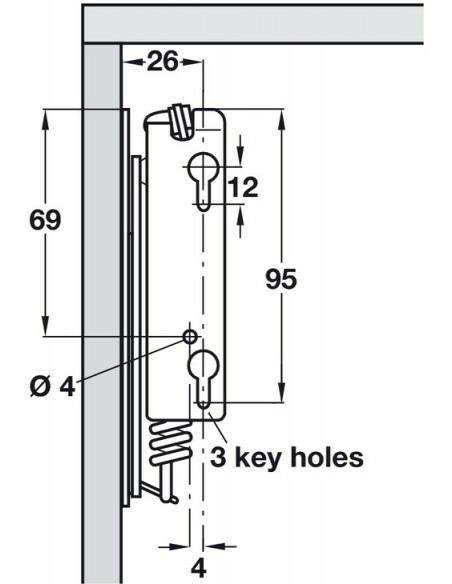 Force is 180 newtons for the single or 180 x 2 newtons for the both sprung option.